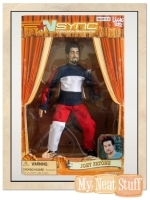 Formed in Orlando, Florida in 1995 and launched in Germany by BMG Ariola Munich, 'N Sync consisted of Justin Timberlake, JC Chasez, Lance Bass, Joey Fatone and Chris Kirkpatrick and became the third highest selling boyband of all-time (behind the Backstreet Boys and the New Kids On The Block). 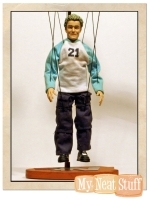 This discontinued marionettes series is based on the group's second album No Strings Attached which sold over one million copies in one day and 2.4 million copies in one week, giving it the highest first week album sales ever. 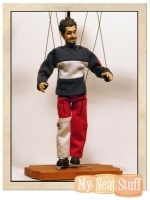 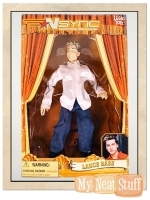 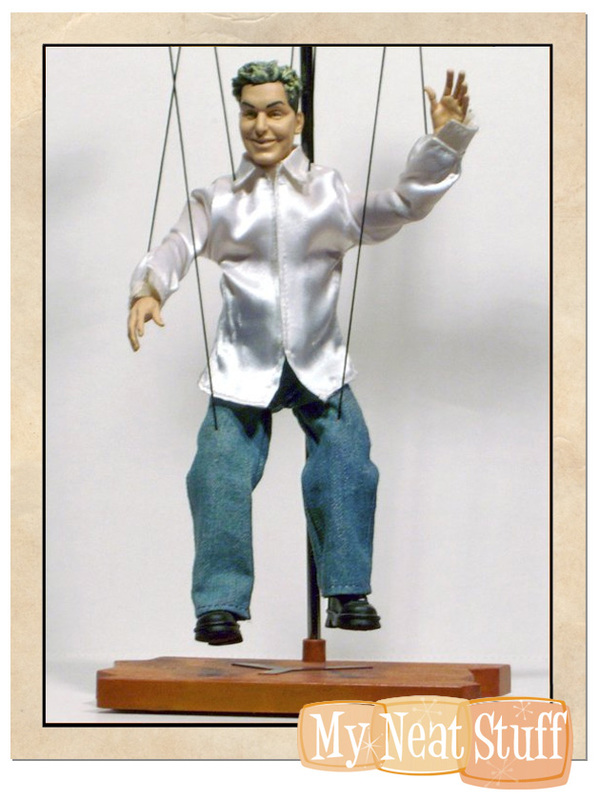 The 5 NSYNC Marionettes available in feature Interlocking display bases to create one huge scene from the music video. 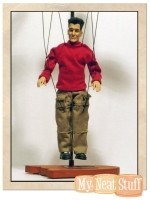 Each marionette is approximately 10" tall. 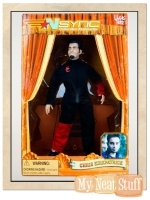 In addition to a host of Grammy nominations, 'N Sync has performed at the Academy Awards, the World Series, the Super Bowl and the Olympics, and sang or recorded with the likes of Elton John, Mandy Moore, Aerosmith, Mary J Blige, Britney Spears, Nelly, Michael Jackson, The Jackson Five, Stevie Wonder, Celine Dion, and Gloria Estefan. 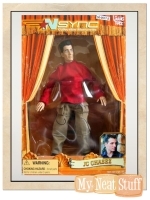 The group also appeared as themselves on The Simpsons, in an episode entitled "New Kids on the Blecch", which aired on February 25, 2001. 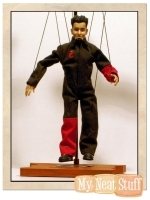 The band is among the highest selling musical acts of the 2000s, and have emerged as one of the most acclaimed boy bands.